This list will help tremendously to people who are looking to do distance learning or correspondence course in Management / MBA (Masters of Business Administration). We have carefully created a list that will give you details of all the current distance learning courses that are currently available along with their specializations as well as course fees. We had done a list earlier in 2007, but we thought it was time for us to update the list for 2016 and hence this update. Before we come up with the list – keep in mind that these distance learning courses are generally made for working professionals who have limited time and resources. All the courses below require one to have a Bachelor’s degree. The cost of these courses is generally much lower than traditional full-time courses. Please click on the name of the university to know more about those courses. I have got quite a lot of requests here to list down colleges offering correspondence (Distant learning) in MBA and related courses. So after hunting around couple of places, I was able to compile following list of correspondence colleges in India. I hope this list is helpful to students looking for correspondence courses in MBA and related fields. 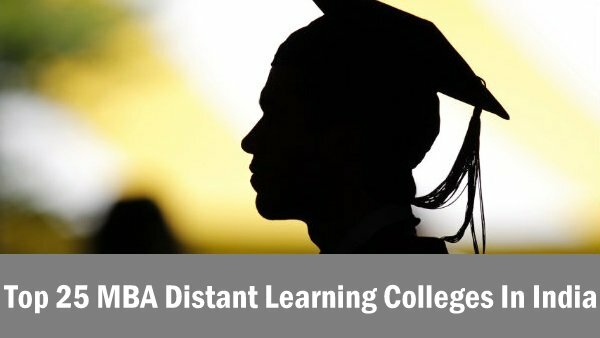 "Top 25 MBA Distant Learning Colleges In India", 5 out of 5 based on 1 ratings. There are numerous MBA Colleges in Uttarakhand. but Quantum university is best and unique amongst all mba colleges. Quantum University offer Interdisciplinary Education. Students can choose major course with minor courses. Students can follow their passion program and profession program without giving up their dreams. They can study any subject with a combination of MBA with music and Agriculture with cyber security and many wonderful courses. I am a bachelor level pass student ,now, I stay in Nepal,but I interest to study MBA in India. Plz tell me fast information about fee structure details without fooding and loading. Plz you tell me full fee structure of the per semistar or full 2 year time fee. I hope u reply recently. I have done my Distance MBA for kazian school of business management, It is a nice institute and the counselor is very cooperative. hi,im sushmitha.recently i completed my B.Tech,CSE.i got placed in one of the software company.i would like to study MBA.but my friends suggested that learning MBA in distance is not useful.is it true?.. Dear Sir / Madam,I Want to know about the MBA Courses, Kindly provide me the details of good Institutes for Distance Education in India / south India. Pl let me know the Fee Structure and coaching standards of the institutes. I am a bachelor level pass student ,now, I stay in Nepal,but I interest to study MBA in India. Plz tell me fast information about fee structure details without fooding and loading. Plz you tell me full fee structure of the per semistar or full 2 year time fee. I hope u reply recently. What is the Difference in having a “Masters Diploma in Business Administration” and “Master in Business Administration” . Please advise. The MBA Program from ICFAI is specifically designed & developed for the working Professionals, Keeping their needs in mind. The program can be conveniently pursued along with the job or other study. ICFAI takes care that the student get the ready made course ware so that they do not have to purchase from the market or spend time searching in the library. We feel that, for any working Professional time is the only constraint. It is always difficult to juggle between work, home and study. Hence, it is quite handy when student gets ready made study material. When they have the facility of Evening classes, when the exams are conducted on For the whole month where you need to select you preferable dates and time so you don’t need to take leave such on job or so as well as our student service office is always at branch to help you. ICFAI takes care of every minute details of working students that’s why we call our programs as 360 degree flexible learning program.For more details feel free to contact. Your degree certificates will be apostilled, which is the highest form of legality done by Government Ministry of respected counrties. Please google word “Apostille” for further information. 1. Fully legal EU degree at a very low cost. 2. EU immigration – Having a EU degrees helps you gain additional points to qualify for immigration. 3. Regular degree – Though you study in distance mode, nowhere in your certificates it is mentioned that you have studied in distance mode unlike many Indian distance education programs where DD (Directorate of Distance Education) stamp is seen. 5. Already an MBA? – No problem, you can convert it into EU MBA with no additional effort by credit transfer system, YES we recognise your credentials. 6. Immigration advise and assistance at free of cost. India’s No.1 ICFAI University offers distance learning MBA program in various specializations. if you want solve paper for symbosis mba exam please contact 9757023640.
if you want to to get done the symbosis distance learning assignment and paper please contact 9757023640. India’s Top ranking ICFAI University offers distance learning MBA program in various specializations. I am an ICFAI Student. I have a very positive feedback for the university, specially the course content. However the only suggestion to all those planning to take up Distance MBA from Nagpur, please look for another option. ICFAI has only one CBT Center in Nagpur which is located in the Smurti Theater Building. The staff here is extremely bad and unhelpful. I being working choose the exam timing of 5:00 PM to 7:00 PM and after 6:30 PM the whole center was evacuated with me the Test Administrator in the center. He really behaved badly with me and now am skeptical about attempting my further exam from ICFAI Nagpur Test Center. I would also request the management of ICFAI to look into this. I want to MBA IT correspondance from delhi university so please tell me the procedure and fee structure. i have done B.tech. I want to know about the MBA Course, Kindly proivde me the details of good Institutes for Distance Education in India. now i m working in PEC india ltd. i want to do m.b.a through distance learning. kindly suggest me for MBA course through distance learning / correspondence as presently I am working in MAHARATNA PSU at Ranchi. Mba ki pure jankari do. am in the field of education and want to pursue an MBA (distance learning) . Are there any universties providing specialised MBA couses in this field? Which one is the best? If Working professionals with 2 years work experience want to do MBA in 4 months, Please contact. Lots of other fast track graduate and post graduate courses as well. Internationally renowned degree with 100% placement assistance. Regular courses for students as well. UKAS (United Kingdom Accreditation Services). AIMS ( Association of Indian Management Schools). ISO 9001 – 2008 Registered through Moody Internationals. sir please give me a information about Distance learning MBA institute(university). hii i m living in Nepal so i want to know could it be possible to do mba in finance or Msc in finance through distance learning from delhi university??? kindly tell me also about the admission date and procedure and fee structure or any other useful info regarding these two courses. Institute of chartered financial analysts of India..
Is distance course in mba is good for a looking good jobs?.. which is the best institute for distance course mba? I want to do MBA Correspondence Courses. Kindly Suggest me the good Distance Education institute. Do Graduation & Post Graduation in One Year From- UGC/DEC/AICTE/AIU Govt. Approved Univ. – B.A, B.Com, BBA, MBA, BCA, MCA, Contact: SMJIIE- 151, 2nd Floor, Sharda Niketan, Pitam Pura, Nr. Deepali Chowk Delhi 9990229952, 9953631300 http://www.smjindia.com email: [email protected]. I am looking for distance MBA from international recognized institute. Can anyone tell me which are the good institute. I would like to know if there are MBA institutes which can offer distance learning for NRI’s so that they can appear exams and other related things from USA. Distance learning offers more opportunities to a person in today’s everyday busy schedule. With changes occurring at every strata of one’s social life, a person needs to earn more and more to live a comfortable life while supporting his family. And at the same time a person wishes to save for the future when the body will refuse to work, all this he can accomplish by working and studying at the same time. There are many benefits of undergoing education under distance scheme. A person can both work and study at the same time. For him there is curtailing of expenses. Education through correspondence requires little investment. Readymade notes and other study material which is provided saves one from buying expensive books. Only material that is relevant to the course is distributed among the students. Either the notes are sent at the student’s mail address or help is available online through the institution portal. Classes are held from time to time to do away with more difficulties that might occur during the duration of the course. hey… I want to do MBA in HR. I live in delhi… kindly tel me the best institution for distance learning… Nd also provide me wid the info, that indraprastha university is also working in distance education. Executive MBA course is meant for people who are already working as executives in firms, offices, industrial settings and other business concerns. These people wish to get the latest knowledge about business trends. Top most universities, colleges, public and private institutes provide international level business courses for such students. all people are saying thank u thank u, kaisa thank u man, , tell me please, then I will thankful to you. hai kya ye, which institute I shall choose for MBA IT, tell me now on [email protected], majak bana rakkha hai, tell me fast please,…… thanks in Advance. sir good distance college in tamilnadu send me…. please help me for give me a information about Distance learning MBA institute. Jaro education would be one stop shop for all your need, and best career. call me @ 999 898 3103 for further details. If you want to do a Distance Learning MBA Degree in one Year With 100 % Placements Call 9898994057. When is the last date for MAT 2011? plzz suggest me the best college for distance learning mba…also tell me about the fees structure…. plz send me admission alerts for distance mba from top distance b schools. plz tell me about MBA & what is advantage of MBA. Great information you have posted here, thanks for the post. kindly suggest me good Institute for Correspondence MBA in Telecom as i have done my B.Tech in Electroics & Comm. in 2006 , and having experience in Telecom of 4.5 years. Nice Post. If you are looking for complete details of these colleges then you can find them on this website- way2k.com. Here you will not only find list of colleges but also get complete details regarding admissions, intake capacity etc. I want to know about the MBA Course, Kindly proivde me the details of good Institutes for Distance Education in Northan India. Thank you all for the great info. I think it is very useful to me. No doubt that Smude is an good university ,What iam curious is that in today’s present day situation where we get an MBA for 15k in 6 months , which university is having VALUE in corporate world. The UNIVERSITY should not become the discrimination factor while getting hired and promoted in TOP companies whether india/abroad. i am B.E.CIVIL engr and i hve passed 2 nd class in engr cource on july 2005.
hence at present i am working in kingdom of bahrain for construction company.i want study MBA course in either distance learning or onling learning so please give me information about how can i get admisition and joint the MBA course . I want to know about MBA Kindly proivde me the details of good Institutes for Distance Education in NCR. Sir I am graduate engineer & i want doing mba from corresponda course or from distance learning. So please suggest me. sir, i am engg. Graduate and want to do distance MBA in telecomm. Plz suggest me two best institution. dear sir , iwant to do the MBA in material management ,kindly tell me the institution whch are offering this course and what is the fees, duration of course. i wanna to know about mba in telecom from reputed correspondance college in india as i did my b.tech in ECE and working in telecom sector as well. For more you can contact me or write me . Thank you for such a comprehensive list for distance MBA colleges. I am a B.Tech (Bio tech) working in a reputed pharma company for a year. Im a lil confused abt to do a regular MBA or a distance MBA. Though the office environment is really good, Im confused that if i do distance MBA will it help much? I want to know about MBA Kindly proivde me the details of good Institutes for Distance Education in India. The list you mentioned does not seem to be a carefully prepared one… It mainly contains colleges from Delhi… On what basis did you rate this as top 25 colleges? I am working in an Telecom Company as Territory sales manager. I am a BE. having Sales Exp of 5 yrs. I want to know about MBA courses(distance learning) suit for me and the Recognize Institute. I just connect for my namesake. Look in IGNOU website for your MBA. I am working in IDBI BANK as Excutive .I have degree in science .so I want to Know about the MBA (distant larning) courses and Recognised Institute. u can check this link to find out the good mba colleges . do reply back as ur feed back. me a diploma holder, finished in 2006.now can persue the MBA?? I want to know about the MBA Course, Kindly proivde me the details of good Institutes for Distance Education in India. 1.ICFAI offer a proper MBA Degree. 2.ICFAI operates with a pan-India presence with own branches (not franchisee) covering all major cities. Hence,the support & facilities are readily & widely available for the students of ICFAI from a branch nearby. 3.As per the feedback & inputs from the corporate recruiters, a Degree from ICFAI is held with high esteem & importance for the excellent academic standard & value ICFAI has been maintaining over the years. One can verify the fact for himself/herself. I want to do BBA & MBA Correspondence Courses. Kindly Suggest me the good Distance Education institute. Want to know about the MBA Course, Kindly proivde me the details of good Institutes for Distance Education in India / south India. Pl let me know the Fee Structure and coaching standards of the institutes. i want to do this distance learning.Mr Ankit. i want to know about the indian institute of commerce and trade (IICT) so please give some details about this institute and give some guidance about the admission procedure and give the important date and the two years full fees structure.